Beauty in Prague is specialising on medical travel/tourism and we offer you cosmetic surgery procedures abroad. The treatments and our services are of the highest quality at affordable cosmetic surgery prices with intensive individual post-operative aftercare from our professional Prague plastic surgeons, nurses, medical staff and patient coordinators. Our plastic surgeons are here to help you to make well informed decision via a free email consultation. Simply send us some pictures and we will get back to you within 1-2 working days. In the detailed reply you will also receive telephone numbers on our previous clients from the UK and Ireland who are happy to discuss their experience with us. 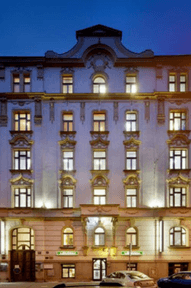 We will also organise your whole stay in Prague (Czech Republic), including accommodation in a self-catering apartment or hotel and airport transfer. The pre-operative tests are also done here in Prague at the clinic in the morning on the day of your surgery. Our aim is to help you on your journey to more confident you. We strive to provide you with a descreet, professional, English-speaking, friendly and safe environment, so you can concentrate on your beauty and health without stress. Do you offer a consultation for cosmetic surgery in the UK and Ireland? We offer a free consultation via email. We will ask you to fill in a Medical Questionnaire online and email us some photos of the areas to be treated. The photos will be assessed by a plastic surgeon who is specialising in the procedure requested and also by our GP and head anaesthesiologist. This is considered as a pre-consulation based on which you can book the treatment. Here in Prague you will be having a thorough consultation with your plastic surgeon prior to the surgery. What information will I receive in the quote from you? You will receive cosmetic surgery package email which will include a confirmation whether you are a suitable candidate for the surgery or not. Also details about the surgery, information about a plastic surgeon, available dates and prices for cosmetic surgery. We will also email you some telephone numbers from our previous clients from the UK and Ireland who are happy to speak about their experience with us. Does many people from the UK and Ireland come to Prague to have cosmetic surgery? We have been focusing on treating clients from the UK, Ireland and Western Europe for over 10 years. During 20 years there have been over 35,000 clients treated for cosmetic surgery. We will ask you to book the flights by yourself. The cost is additional, however, it starts at 50 GBP for a return flight with low-cost airlines. The flight from the UK takes around 1hr 30min. There is only one airport in Prague called Letiste Vaclava Havla (Airport of Vaclav Havel). The journey from the airport to the city center and clinic takes around 20-30min depending on the traffic. If is your surgery under general anaesthetic, 1-3 nights at the clinic are already included in the price of your surgery. Additional nights for your or your partner are paid. The price depends on a season and availablility. You can also book your own accommodation; however, we might not be able to provide you with free transfers. The price of the transfers depends on the distance between your accommodation and the clinic. We strongly advise you to book accommodation within walking distance from the clinic in case any emergency check-up is needed. You can also email us your selection before you book so we can check whether we can make an exception with free transfers. Can I come to Prague with someone? Of course you can bring your partner, husband, wife or friend along with you. They can also accommpany you to the clinic for the pre-operative tests and consultation. However, they will be not able to stay with you at the clinic in a post-operative room as the number of beds is limited and we have very strict hygienic rules in those areas. Your friends and relatives can visit you based on the agreement with our medical staff. I will be coming for a surgery alone, is it fine? Around 50% of our clients come on their own. We have a great system of post-operative care when you will be seen by your plastic surgeon for a free check-ups every 2-3 working days or if needed even more often. On your arrival we will also offer you a free shopping when you will write us a list of things you need and our staff will buy it for you, you will just cover the expenses as shown on the receipt from a grocery store.